Michael Maltzan Architecture (MMA) and the Hammer Museum in Los Angeles have announced plans for a 40,000-square-foot, multi-year expansion to the museum’s existing facilities at the foot of the University of California, Los Angeles campus. Michael Maltzan Architecture (MMA) and the Hammer Museum in Los Angeles have announced plans for a 40,000-square-foot, multi-year expansion to the museum’s existing facilities at the foot of the University of California, Los Angeles campus. The newly-announced additions and changes come as MMA completes renovations to several existing galleries in the museum. That project has seen MMA consolidate existing spaces to enable a continuous, 10,000-square-foot gallery space, a programmatic requirement necessary for hosting most major traveling exhibitions. Those renovated galleries will debut to the public this weekend and feature new exhibitions with pieces by American sculptor Jimmie Durham and French painter Jean Dubuffet. In a press release announcing the expansion, Hammer Museum Director Ann Philbin said, “After years of continuous growth, the Hammer is in need of a physical expansion and upgrade to provide more art for our audiences, more places to study, and more places to gather.” The next set of renovations will build on existing capabilities by increasing the museum’s exhibition space by 60% and will include the addition of a new gallery dedicated to works on paper and special collections, in addition to creating a new museum store. Plans also call for increasing community spaces by 20,000 square feet. 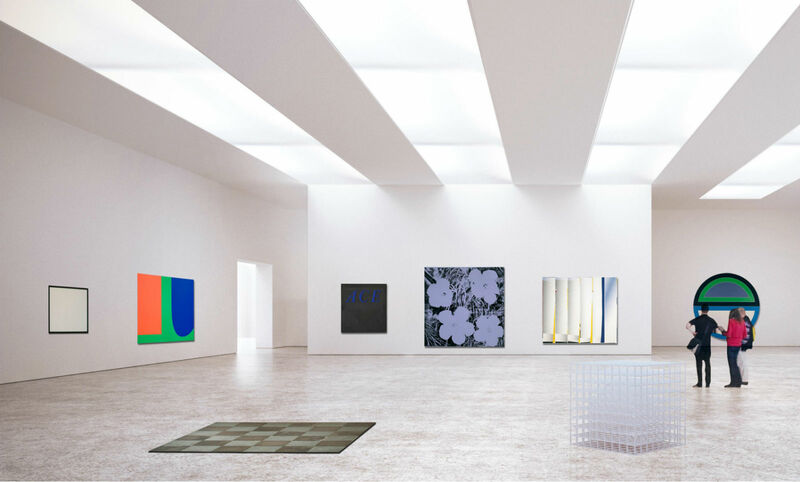 Renderings released by the architect depict white-walled gallery spaces with minimal detailing and blonde wood floors. MMA’s renovations will also include re-programming the ground floor facade along Wilshire Boulevard to increase transparency between the interiors and the street. In the same press release, Maltzan said, “The Hammer has become an essential destination in Los Angeles. This transformation will make it dramatically more visible and inviting, more connected, more immersive. It will mark a major new chapter for what the Hammer is, and what it can be.” MMA has a long list of previous projects at the museum, including designs for the museum’s Billy Wilder Theater in 2006, renovations to the museum’s courtyard in 2012, and the John V. Tunney Bridge, built in 2015. The Hammer Museum is located along the ground and lower floors of the 16-story Occidental Petroleum Building, a midcentury office tower originally designed by architect Claud Beelman in 1962. This article appears on HoverPin, a new app that lets you build personalized maps of geo-related online content based on your interests: architecture, food, culture, fitness, and more. Never miss The Architect’s Newspaper’s coverage of your city and discover new, exciting projects wherever you go! See our HoverPin layer here and download the app from the Apple Store. To coincide with the 230th anniversary of the U.S. Marshals Service, the United States Marshals Museum’s opening date is set for September 24, 2019. Designed by Cambridge Seven Associates along with Polk Stanley Wilcox Architects, the institution’s foundation has also launched a $60 million fundraising campaign for construction. The new 50,000-square-foot museum will be located in Fort Smith, Arkansas, and will feature a collection of artifacts spread across three galleries exploring the 230-year history of the nation’s oldest law enforcement agency, a Hall of Honor for those killed in the line of duty, and a National Learning Center that will promote an understanding of constitutional democracy. Peter Kuttner, president of Cambridge Seven Associates and principal architect for the museum, consciously blended history with modern sustainability in the design. The museum looks out over the Arkansas River, which used to serve as a border between the former colonies and what was known as the frontier at the time of the Marshals’ establishment in 1789. The scheme also incorporates photovoltaic panels and vegetative roofing along the building’s star-shaped design, which,along with its use of bronze, is reflective of the badges worn by marshals in earlier years. For his inspiration for the star-shaped aesthetic, Kuttner looked to one of the last scenes in the movie High Noon, in which U.S. Marshal Will Kane tosses his badge to the ground. “It hits at an angle, with some of the points jutting out of the ground,” he said, explaining his approach to the museum as “low on the front, and high on the back.” The infamous High Noon drawing by former President Bill Clinton, who serves as honorary chair of the museum’s executive committee, still hangs in the Clinton Presidential Center in Little Rock, Arkansas, and served as “a great little connection” that got the committee on board, Kuttner said. The facility is projected to cost $35.9 million, with $12.3 million in total exhibits, a $4 million endowment, nearly $3 million in contingencies, and $3.5 million for one-year operating expenses. Just over $29 million is listed in committed fundraising so far. With almost half of the campaign target already secured, the museum still faces fundraising challenges. In a conversation with Talk Business & Politics, Jim Dunn, president of the U.S. 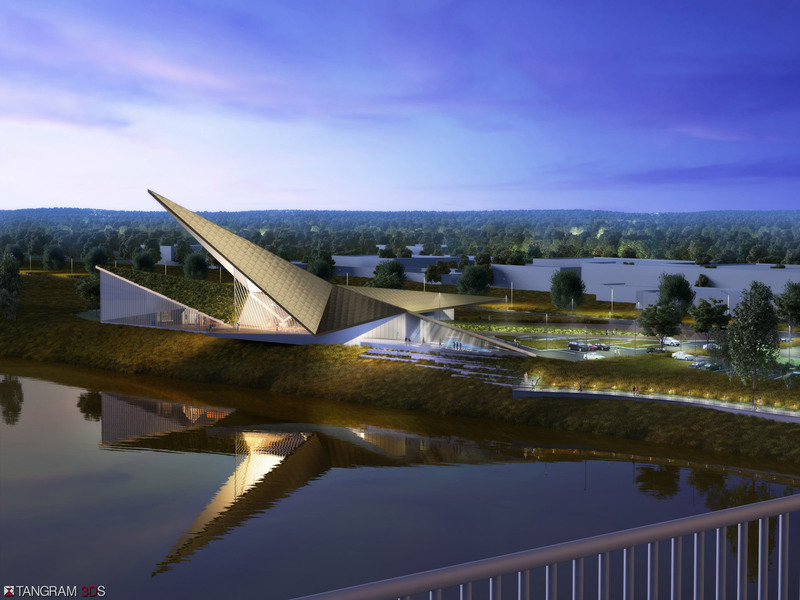 Marshals Museum Foundation, cited the agency’s low profile, as well as the location of its future home in Fort Smith as specific points of tension. “Convincing donors to export large chunks of money to a distant and unknown community is difficult,” he said. At present, the museum’s eight-member staff is working out of offices in Fort Smith, maintaining some 500 items that will eventually be used in the museum’s exhibitions. The museum staff is set to expand to 18–20 people upon opening. With regard to the museum’s funding and the array of design elements, specifically the sustainable features, Kuttner expressed anxiety about its execution: “I’m crossing my fingers that those elements survive value-engineering,” he said. In late October, the Dallas Holocaust and Human Rights Museum announced a series of steps to push a proposed new museum building into reality. With over two-thirds of funding secured, the museum launched a “Building a Foundation of Hope” capital campaign to raise the final portion of the $61 million budget needed to start construction. The 50,000-square-foot structure will be built in Dallas’s West End neighborhood near Houston Street and the DART Rail corridor along Pacific Avenue. The property, which currently serves as a parking lot, will be transformed into a public building that will accommodate more than 200,000 visitors per year and nearly quadruple the amount of exhibition space that the museum currently boasts within its existing facility. “We are limited in the number of visitors we can see at one time, and many schools and thousands of students are not able to visit as their class sizes are too large for our current museum,” said Frank Risch who serves as the campaign co-chair for the new museum. 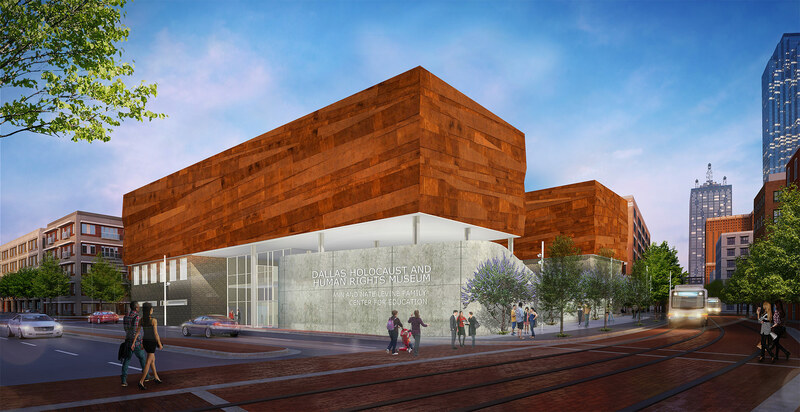 “We have been forced to move many of our events to other venues.” The museum, awarded an Unbuilt Design Award by AIA Dallas in 2015, will take two years to complete from the start of construction. The building, designed by Omniplan Architects, will serve as a vessel for remembering the Holocaust and its victims and will also extend the dialogue to human rights in modern America. “We need a place that allows us to have a discussion about what human rights, diversity, and respect for others mean for our city today,” said Dallas Mayor Mike Rawlings during the announcement of the capital campaign. Permanent exhibitions, under the direction of Michael Berenbaum, who served as the project director of the U.S. Holocaust Memorial Museum in Washington, D.C., will feature engaging galleries and content as well as expanded resources and archives. The designers seek to engage the public in a manner that creates individual experiences, allowing one to connect with the museum in a very personal way. Beyond the physical and metric constraints that drove the concept, the Holocaust Museum will fulfill a message that has been understated in the community, especially in the context of recent attacks. “At a time when Texas leads the nation in the number of active hate groups, and the Dallas community is still healing from the July 7 attack on local law enforcement officers, the most violent and hateful act against law enforcement officers since 9/11, we believe the mission of the new Dallas Holocaust and Human Rights Museum is more important than ever,” said museum president and CEO Mary Pat Higgins. This article appears on HoverPin, a new app that lets you build personalized maps of geo-related online content based on your interests: architecture, food, culture, fitness, and more. Never miss The Architect's Newspaper's coverage of your city and discover new, exciting projects wherever you go! See our HoverPin layer here and download the app from the Apple Store. “Welcome to Explore Soane. The historic house, museum, and library of 19th-century architect Sir John Soane—now made digital. Get closer than ever before to its fascinating objects and see its eclectic rooms in a new light.” These words welcome viewers as they enter the new digital model of the Sir John Soane’s Museum, recently launched by ScanLAB Projects. Sir John Soane was a noted 19th-century British architect who passed away in 1837, leaving behind not simply a home, but a museum of architectural curiosities for posterity. Established by Private Act of Parliament in 1833, the house-museum has been kept just as Soane left it at the time of his death, continuing to offer free access to visitors as he had intended. Safeguarded by its Trustees, the museum hosts exhibitions, events, and a research library. The Sepulchral Chamber. 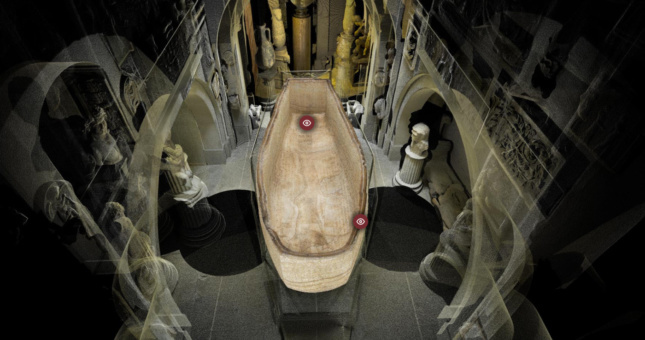 (Via explore.soane.org) The museum's digital model offers visitors the choice to begin their journey in the Model Room or the Sepulchral Chamber. The Model Room includes models of historical architectural sites such as Temple of Vesta (made from cork), Temple of Vesta (made from plaster) and a Model of Pompeii, showing the city in 1820. 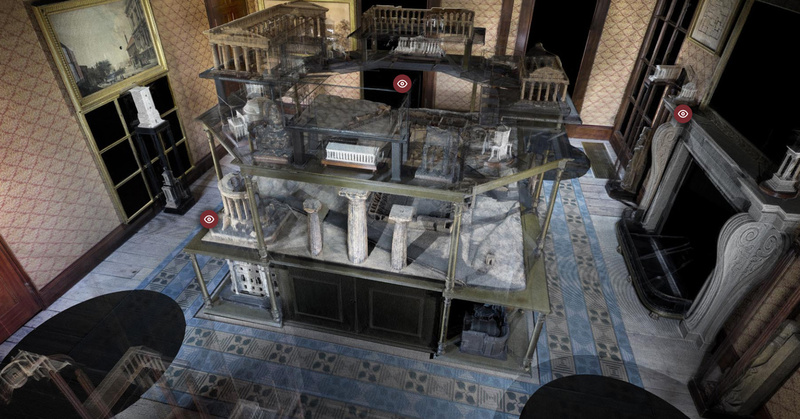 The replica of the room features individual, digitized models available for download. The interactive elements of the room also include fact sheets for models in Soane’s collection, which can be found upon clicking on each model. As viewers move on to The Sepulchral Chamber, they can find interactive models of an ancient Egyptian Sarcophagus King Seti I and Sarcophagus Detail. This portion of the journey also provides fact sheets and an about page for items in the chamber. ScanLab Projects is a creative studio that works to combine 3-D technologies and large scale scanning with the architectural and creative industries, creating digital replicas of buildings, landscapes, objects, and events. They offer 3-D printing, 3-D scanning, and visualization services to digitize the world in captivating ways. ScanLAB Projects also plans to add more rooms and works of art to the model. 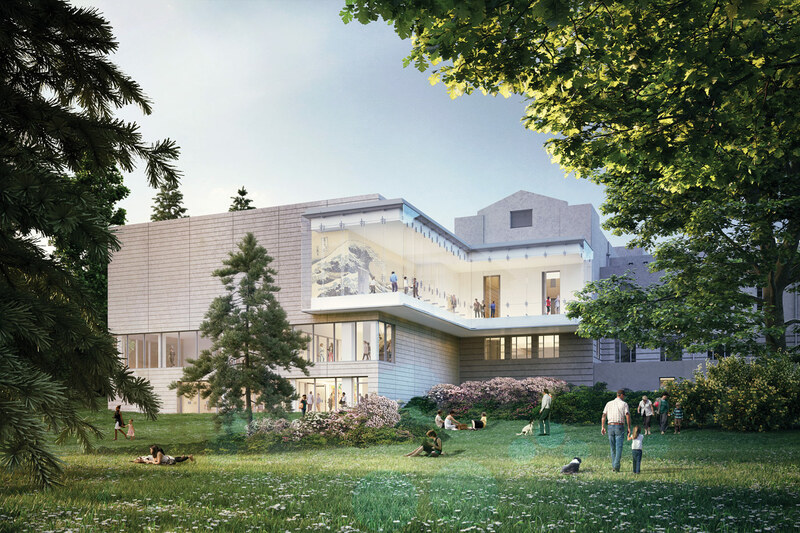 On September 30, LMN Architects revealed renderings for a planned $49 million expansion and renovation to the Seattle Art Museum’s (SAM) Asian Art Museum, the first time in the 83-year-old institution’s history that its flagship art moderne structure will be renovated. The building, located in the city’s verdant Volunteer Park, was designed by Carl F. Gould of the architectural firm Bebb and Gould to house SAM’s original art collection. After SAM’s principal collection was relocated in 1991 to a downtown Seattle flagship designed by Venturi, Scott Brown and Associates, the 1933 building was rechristened as the Asian Art Museum. That move left the original Bebb and Gould building languishing, a product of a bygone era when buildings relied heavily on natural ventilation as a means of climate control and the needs of only a small portion of potential building occupants were considered. As a result, the structure lacks the sophisticated temperature and climate control systems typical for a world-class art institution and is out of compliance with Americans with Disability Act (ADA) legislation. LMN’s renovations aim to fix those discrepancies and more by rebooting the structure through the addition of a new wing along the existing eastern side containing a 2,650-square-foot gallery for Southeast Asian art, a community meeting room, and a set of new office spaces. The renovation will also add teaching spaces and possibly an Asian art conservation studio. Importantly, the extension will be clad in expanses of glass and aims to increase the connections between the museum’s interior and its park setting. 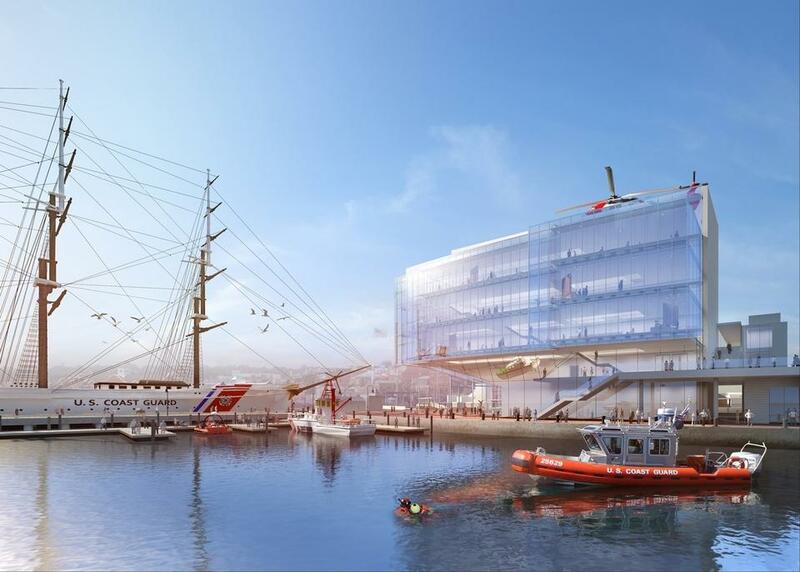 Boston-based firm Payette has unveiled its design for the National Coast Guard Museum in New London, Connecticut. The proposal put forward sees four stories rise up along the water's edge next to the historic H.H. Richardson–designed Union Station. Initial proposals (for which there are no renderings available) had the museum located over the water. Instead, the building will rest on piles and feature a glass curtain wall that comprises the whole waterfront facade, facilitating views across the harbor. According to The Day, interactive exhibits would also be available as part of the building's frontage to establish a connection between the museum and shoreline area. Ideas for a "bridge simulator" and way of listening to dialogue between ferry captains over radio traffic were discussed at a meeting on Monday where the design was revealed. "These are design concepts that are likely to change dramatically over the course of the next year, year-and-half, two years as we design this building," said Principal at Payette, Charles Klee. Klee also said that much work had been done to ensure the Federal Emergency Management, the state Department of Energy and Environmental Protection, and the Army Corps of Engineers were happy with the plans. The museum is due to rest on a plot of land designated as a "100-year flood zone" (due to having a one percent chance of flooding every year). Most of the site is also located in an area where land is susceptible to high-velocity wave impact. Thanks to the historic and significant artifacts set to be housed in the building, the museum is reportedly working on ensuring that the approximately 80,000 square foot building inhabits a 500-year flood zone. The museum also faces funding issues. $9 million of the $100 million target has so far been raised with private funds. 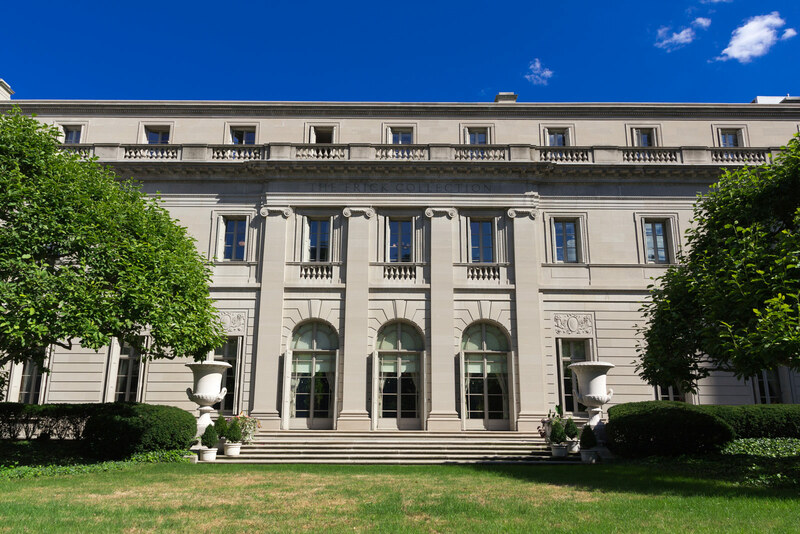 New York–based art-world veterans Selldorf Architects will helm The Frick Collection’s enhancement of its existing Upper East Side Manhattan home, the Henry Clay Frick House. Selldorf was selected from 20 candidates after an 18-month review period. The Frick’s road to expansion has been rocky. In June 2015, in the face of strong criticism from architects and preservationists, the museum abandoned plans to replace a gated garden with an historicist six-story tower by Davis Brody Bond. That added to a string of failed expansions (in 2001, 2005, and 2008) but the museum vowed to increase its exhibition space. According to the Frick representatives, this latest round will work within the building’s existing footprint. The upgrades include converting a set of second-floor rooms to galleries, creating a new special gallery on the main floor, improving circulation and accessibility for those with physical disabilities, and installing new facilities dedicated to educational programming and conservation. For now, the expansion is in its earliest stages. The configuration of the second-floor galleries and the placement of the new facilities haven’t been decided but more details will be revealed during winter 2017–2018. The Arkansas Arts Center (AAC) has announced Chicago-based Studio Gang Architects as the design architect for its next building project. Studio Gang was selected from a field of five finalists that included Allied Works, Shigeru Ban, Thomas Phifer, and Snohetta. “Designing a re-envisioned Arkansas Arts Center is a truly exciting commission,” Studio Gang founder Jeanne Gang said in a press release. “Its extraordinary collection, historic MacArthur Park setting, and rich mix of programs present a unique opportunity to redefine how the arts can strengthen local communities and surrounding regions. 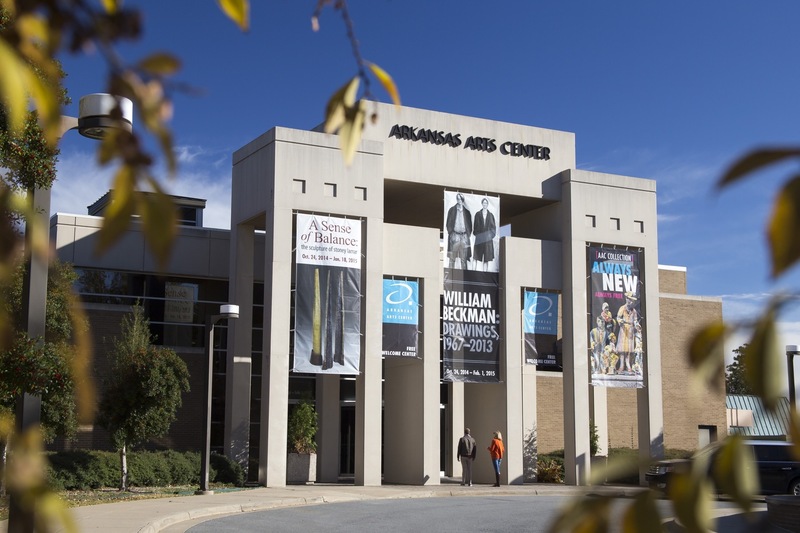 We look forward to working closely with the AAC to discover how architecture can enhance the Center’s important civic and cultural mission by creating new connections between people and the arts in Little Rock and beyond.” More than just a renovation and expansion of the museum's current building, the project is expected to completely change the way the museum is used and interacts with the surrounding downtown. “This project is about more than just addressing the physical issues of the current building. It requires rethinking how the AAC fits into the downtown fabric,” said Todd Herman, executive director for the AAC. “How can we best serve the community, and how do the AAC and MacArthur Park connect to other social and cultural nodes in downtown Little Rock? We want to do more than build; we want to transform the cultural experience.” The AAC was founded in 1960 and has a permanent collection with a heavy emphasis on drawing, watercolors, and other works on paper. This includes works from Rembrandt, Picasso, and Degas. The museum also possesses the largest U.S. collection of drawings and watercolors of early 20th century French Neo-Impressionist painter Paul Signac. The next step in the $65-million project will be to select a local architect to collaborate on the project. According to the museum’s website, an RFQ will be issued this month for that position. Miami’s Villa Vizcaya, an Italian villa on Biscayne Bay built by industrialist and farm machinery magnate James Deering in 1914, has told the story of its creation since opening to the public in 1953. Although not fully completed until 1922, the museum-house recently celebrated its centennial. 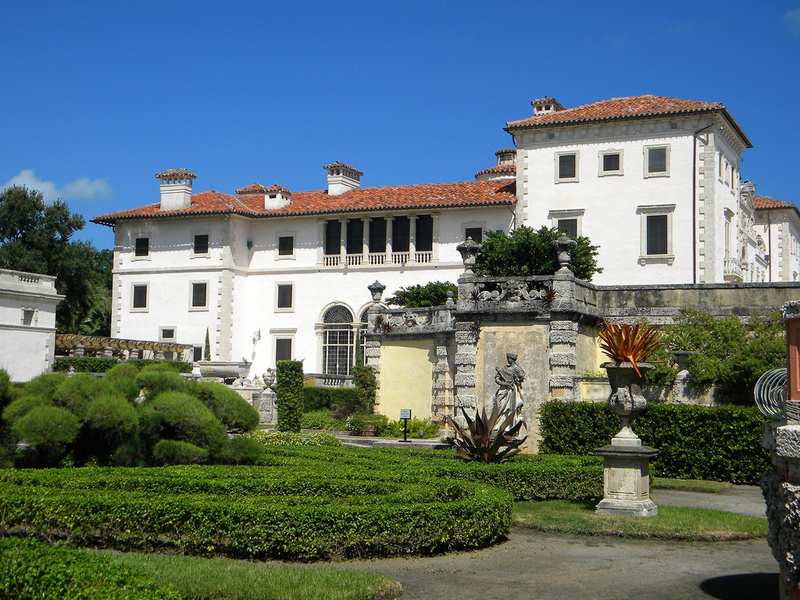 A new master plan in the works for Vizcaya encompasses a substantial expansion and the reincorporation of various lost or forgotten elements of the estate, including a model farm, adjoining Italian farm village, and portions of the gardens that have been neglected and closed to the public for decades. For the first time since the heirs of Deering donated it to the public, Vizcaya will be able to tell substantial parts of its story almost lost to history. In the estate’s formal gardens, a “marine garden,” unseen by the public since being damaged by Hurricane Andrew in 1992, has reopened, and a destroyed water garden, as well as a wide set of stairs that once led to a private beach, have been recently rediscovered. An exhibition of contemporary art on view at Vizcaya through October 2017 is also drawing attention to many more of these spaces, including the estate’s moat (now a dry chasm through a forested section of the grounds), and parts of the original gardens. But perhaps the largest “missing” element of that story is the farm, which Vizcaya is reclaiming as its current occupant—the Patricia and Phillip Frost Museum of Science—moves downtown, and the Italian farm village. Vizcaya’s administrators are hoping to use the village, which still exists quite close to its original form, for a mixture of public programming, collections storage (including open storage), and offices. The master plan then proposes the demolition of the former science museum to restore the farm site as open green space. The original farm will be partially reconstructed and a reforested area will act as a buffer zone between the estate and the neighboring homes. “One of the most important things is the arrival of visitors and how they move through the village,” said Remko Jansonius, Vizcaya’s deputy director of collections and curatorial affairs. A venerable downtown art institution has recently announced plans to expand its diminutive Soho space into a larger gallery. The Leslie-Lohman Museum of Gay and Lesbian Art's expansion will nearly double the size of the 30-year-old museum to make room for its expanding permanent collection and provide more space for public programming. A Soho resident since its founding, the Leslie-Lohman Museum is the world's first (and only) institution dedicated to LGBTQ art. New York–based Steven Keith Architect will add 2,300 square feet to the existing 3,300-square-foot museum. "This expansion marks an extraordinary turning point and phase of substantive growth for the Museum, which has had a strong presence in SoHo for nearly 30 years," said Interim Museum Executive Director Meryl A. Allison, in a statement. "Not only are we adding an entirely new gallery to the museum, but we are also actively enhancing our permanent collection through our recently announced Hunter O'Hanian Diversity Art Fund. This fund, which has raised over $40,000 since its inception this summer, supports our mission of representing all of our constituents through collecting non-cisgender white male artists." 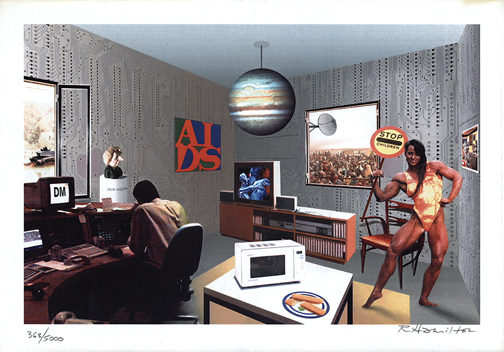 The expanded museum, which is always free to visit, will open to the public early next year with an exhibition of 140 pieces, including collection highlights and recently acquired work by artists like Mickalene Thomas, George Bellows, Bernice Abbott, Go Mishima, and Richard Hamilton. The institution is not the only downtown museum aiming to live larger: In the past year alone, two Lower East Side institutions—the New Museum and the Tenement Museum—have announced major expansions. The Museum of Art, Architecture and Technology (MAAT), designed by London firm AL_A, was opened this month in Lisbon, Portugal by the Fundação Energias de Portugal (EDP) to coincide with the Lisbon Architecture Triennale. The building is located within the Portuguese capital's Belém area and next to the Tagus River. Spearheaded by Stirling Prize-winning architect Amanda Levete, AL_A's design sees 15,000 three-dimensional, crackle-glazed, white ceramic tiles span an undulating roofscape, forming a reflective, rippling facade on the riverbank. While the rooftop terrace references the adjacent river through its flowing form, visitors can enjoy views of the 2,000-year-old São Jorge Castle courtesy from atop the cantilevered structure. Such expansive views, however, would be a rarity in (or on) a building that adds 75,350 square feet of public space yet barely rises the equivalent of three stories. However, the museum's four galleries can be found below ground, thus allowing the building not to tower above the low-rise Lisbon skyline. 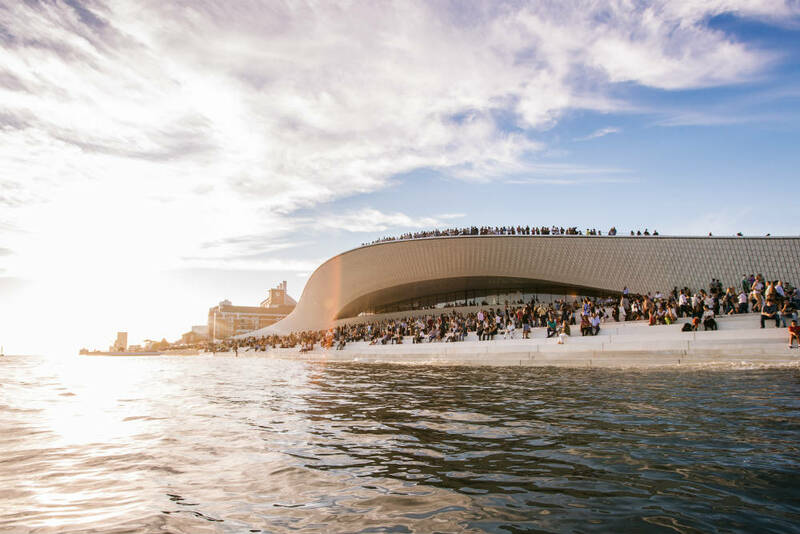 “In understanding EDP’s ambition for Lisbon, our design draws on the context of the site, creating both physical and conceptual connections to the waterfront and back to the heart of the city," said Levete. "The waterfront is so essential to the project that the design literally reflects it. The overhanging roof that creates welcome shade is used to bounce sunlight off the water and into the Main Gallery, one of the four interconnected exhibition spaces." Despite the museum's opening, the project not yet wholly complete. A pedestrian bridge coupling the museum (via its roof) to another gallery and restaurant nearby has yet to be finished. In addition to this, further public space will be added with a park area designed by Lebanese studio Vladimir Djurovic Landscape Architecture. This is all part of the project’s second phase, scheduled to start in March next year. Three of the aforementioned sunken gallery spaces will also be finished in 2017. Here, visitors will find work from Rotterdam-based architecture firm OMA and artists Aldo Rossi and Yona Friedman. Meanwhile, French artist Dominique Gonzalez-Foerster’s Pynchon Park installation is now on display in the Oval Gallery as part of the Utopia/Dystopia exhibition that will run through into the new year. Pynchon Park occupies all 10,760 square feet of the gallery and invites audiences to engage and become part of the work in a "fun and intriguing way." The Museum of Contemporary Art in San Diego (MCASD) celebrated its 75th Anniversary by officially announcing the launch of a $55 million expansion and renovation, led by New York-based Selldorf Architects. The expansion plans have been in the works for several years, with The Architect’s Newspaper reporting back in February that Selldorf was rumored to be selected for the project. Now, having raised $56.7 million of their $75 million capital campaign, the museum has announced that its plans are moving forward. According to the San Diego Tribune, the new additions will double the size of the building from 52,000 square feet to 104,000 square feet, and quadruple its gallery space from 10,000 to 40,000 square feet. The new design also includes a new public park open on all days and hours except for private museum events, a new gift shop focused on the museum's collections, and the conversion of the 500-seat Sherwood Auditorium into a 20-foot-high gallery. MCASD will close in January 2017 and is scheduled to reopen in late 2019 after construction is complete but the museum cafe will remain open. Outgoing director Hugh Davies told the La Jolla Light that the museum has always had strict space constraints on its collection of works. “Expansion of our La Jolla facility will allow us to consistently display our collection, as well as present compelling contemporary exhibits and expand our education programs,” he said at the 75th Anniversary celebration. This announcement comes after Selldorf Architects were selected to revamp the Frick Collection and design the Swiss Institute's new space.